This is a week split into two halves. The first half of this week we are going to think about discharge management of the individual with an amputation. We will consisider patient education in independent ongoing management; resumption of roles in family, recreational and community activities; vocational rehabilitation by assessing and planning vocational activities for the future; plus emotional equilibrium and healthy coping strategies. The second half of this week you will explore your learning on this course by preparing a case study on one of your patients or based on one of the examples provided. You will also need to pass the end of course quiz and submit the course evaluation form and competency tool to complete the course. You can see the online version of the week six email here. Provide individuals with amputation with knowledge for ongoing independent management of their amputation and understand what you should address in their discharge management. Be able to apply your new knowledge to clinical situations. Complete the course by submitting your final case study presentation, completing the quiz, competency form and evaluation form. It is important to consider the full implications of discharge from medical care and aid the individual with limb loss with resumption of roles in family, vocational, recreational and community activities, plus emotional equilibrium and healthy coping strategies. Discharge advice - Discharge planning can make all the difference to the long term outcome of the individual with amputation. What are the most important aspects of discharge management of the individual with amputation? Do you have any patient education leaflets that you can share with your colleagues on this course? Peer Support - The loss of a limb regardless of the reason will lead to a number of physical and emotional challenges for the new amputee and their loved ones. At this time the support and assistance of family, friends and health care professionals are all important aspects of the recovery and rehabilitation process. However speaking to another amputee who understands what it is like to go through the experience of limb loss can often have a very positive outcome in assisting the new amputee to see that there is life after amputation and that most challenges will be overcome. How important is peer support? What opportunities are there in your working environment for your patients to interact and help each other? Add your comments directly to this discussion in the forum. This presentation task is a required part of the course to gain your completion certificate and accreditation. The case study must be submitted before Sunday July 19th 2015. PLEASE NOTE - You will not be able to submit your case study after this date! Using the knowledge that you have gained throughout this course you are going to prepare a simple case presentation of one of your own amputee clients OR if you don't currently have amputee clients complete a case assignment based on one of the cases provided below. Please note - that you will not receive a mark for your case presentation / assignment. We will assess the submitted case studies to ensure a minimum standard is achieved before allowing a course completion certificate to be accessed. We are not looking for correct or incorrect answers! We are looking for the implementation of the techniques and skills covered during the course and an engagement with the relevant literature. We will also publish selected case studies on Physiopedia in a new amputee case studies section (these will be published in the latter part of this year) and there will be an award for the best submission. Prepare a case assignment based on one of the cases provided. 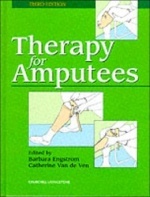 This is suitable for people who are not currently working with individuals with amputation. These tasks are all a required part of the course to gain your completion certificate and accreditation. They must be submitted before Sunday July 19th 2015 to be considered for certification. Make sure you complete all of the course required tasks by Sunday July 19th 2015 at the latest! You will be able to download your course certificate here from Wed 22nd July when a link to a certificate download form will be published. Your completion of the tasks will be automatically checked before the certificate will be made available.